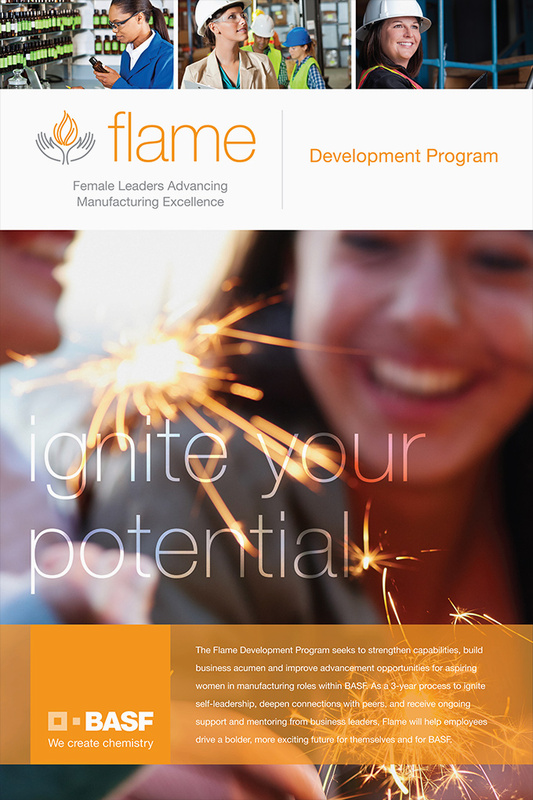 Seeking to increase the retention, engagement, and advancement of aspiring women in manufacturing roles, BASF engaged BNO to brand a unique talent development program for their organization. 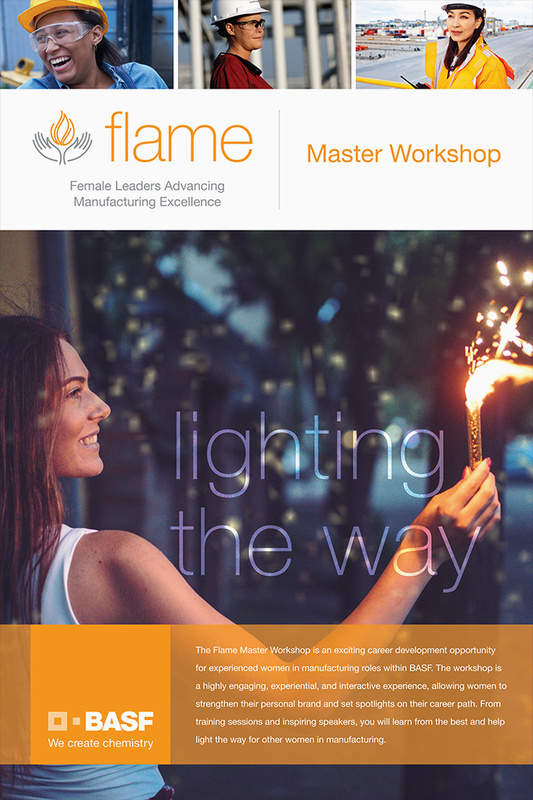 The FLAME program is a forum to strengthen competencies, improve advancement opportunities, develop self-leadership, deepen connections with peers, and engage in unique and intensive learning events, while offering ongoing support and mentoring from business leaders. 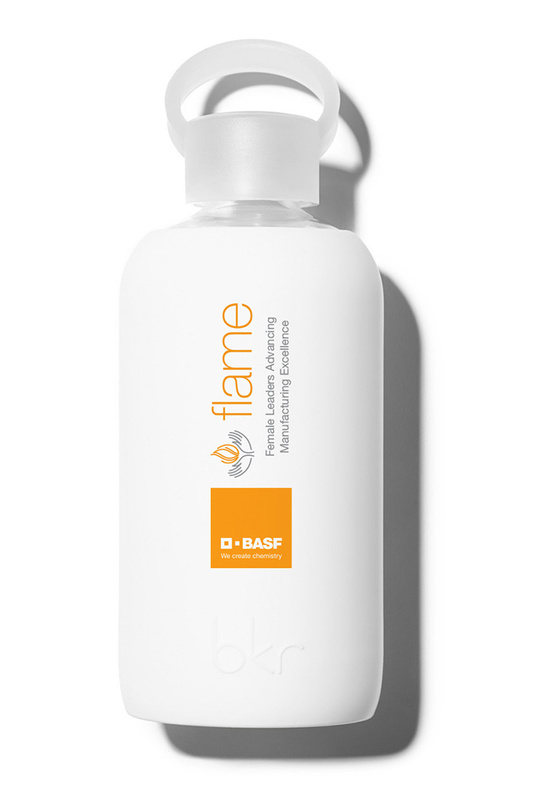 Through either condensed master workshops for mid-level employees, or a more extensive development curriculum for early employees, these women are combining their individual talents and ambitions to build a bolder, more exciting future for themselves and for BASF.